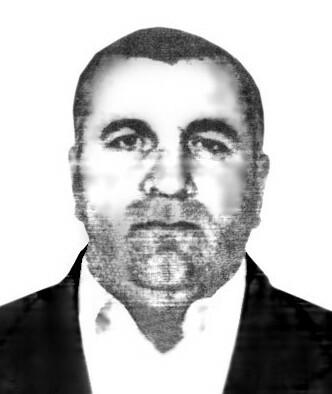 Dalakov Uvais Magomedovich, 1957. kidnapped in May, 7, 2006. found killed in June,4, 2006. Uvais Dalakov:kidnapped in May,7, 2006,at about 09:30 in the area of the market(factory),not far from chechen reception camp «Malkhas» gates.Uvais Dalakov was grabbed out of his own auto «Volga» GAZ -3110, made him seat into auto «Zhiguli» VAZ – 2110,gray color,and drove away. Witnesses remembered the kidnappers auto licence number plates. They informed Uvais Dalakov’s relatives them.It was «392» region 95.As well,there are witnesses who saw that the abductors made Uvais Dalakov take a seat in one of two «Niva» autos,waiting them in Achaluki settlement. The men in the two «Niva» autos(one was white,another-blue) were camouflaged. By information from massmedia and from local population, Dalakov’s corpse was ransomed for $10.000. It was found buried in the area of Vesyoloe settlement,Mozdoksky district,Northern Osetiya and was reburied in June beginning,2006,in Ingushetiya.